Home » Comics » Whatever Happened To Collaborations? They used to be common place in comics. Superman was created by Jerry Siegel and Joe Schuster. Captain America by Joe Simon and Jack Kirby. The Fantastic Four by Stan Lee and Jack Kirby. Some of the great runs in comics were collaborations. Denny O’Neil and Neal Adams on Green Lantern / Green Arrow, Chris Claremont and John Byrne on X-Men, and Kevin Smith and Joe Quesada on Daredevil. You can probably name a bunch more without getting them all. What got me thinking about this was two things yesterday. First was a video released by DC called Master Class where Greg Capullo is talking about Dark Nights: Metal and his collaborating with Scott Snyder. He referred to it as working with family. 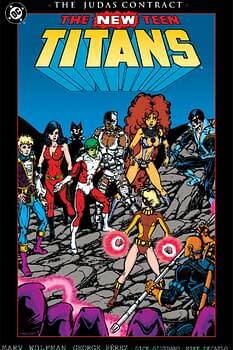 Then, last night I watched the extras on Teen Titans: The Judas Contract Blu-ray and there is a featurette with Marv Wolfman and George Perez talking about their collaboration on the Teen Titans back in the 80’s. A run, which is arguably the best the title ever had. DC still seems to like collaboration, or at least on big titles where you have situations like Greg Rucka working with Liam Sharp and Nicola Scott on Wonder Woman, or back with Jeph Loeb and Jim Lee on Hush or Loeb and Tim Sale on multiple titles. The other side of the coin is when you have a situation like with the X-men recently where Marc Guggenheim writes a script and turns it in, it’s then sent to an artist who draws it and turns in pages to the editor. I’ve been on both sides of this. 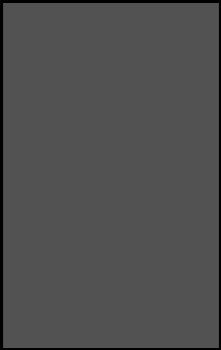 I’ve done a lot of work for companies where I’m asked to do a script, I write it up and turn it in. I may get to look over the finished lettered pages, but at this point it’s too late to do any major changes if something doesn’t work. And sometimes I turn in a script and the next time I see anything is on the shelf at the comic shop. 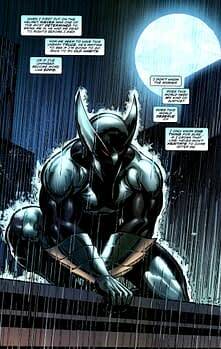 On the other side, I got to do five issues of ShadowHawk for Jim Valentino. We were bringing back the original Paul Johnstone and spinning the series out of Image United. The artist on the series was Tone Rodriguez, a good friend of mine and someone I traveled to conventions with. We’d done a few things before, but not a whole comic, let alone five. Because we were friends and lived about twenty minutes apart, we could get together to work on the series. I would write the script and get it approved by Jim, then Tone and I would meet someplace… a restaurant or bar… find a quiet corner and start going over the script with Tone doing thumbnails. As we went over the pages, I could help clarify things that may not have come across properly in the script or suggest things I’d like to see get more focus. He could add suggestions and throw in his own ideas not only for that issue, but towards the future stories. Working together like that allowed us to create the best book possible. Now the book didn’t take off as we had hoped. The reviews for the story were all really positive, but the delays in Image United forced us to launch without the lead in. A shame really, though I’m biased, I think we were doing some really good work on the book and I had quite a plan for the character that would’ve created a universe around him, expanded his rogue’s gallery and pushed against the standard super hero tropes. But that brings me back to my thoughts on collaborations. The comic book industry is a creative field run by accountants. They number crunch to figure out the best way to make a profit and nix things that aren’t a guaranteed revenue stream. This is why we get so many events and crossovers, because it makes sense on a spreadsheet. But characters like Spider-Man, Green Arrow, Wonder Woman, Guardians of the Galaxy… they didn’t become popular because someone did an audience analysis and designed a costume because of current fashion trends. They became popular because a writer and an artist got together made a story that registered with people. You want to make good comics again. Put together a creative team that can collaborate, put them on a series for a decent set length of time and allow them to tell a story that isn’t interrupted by events and crossovers. Allow the team to plant seeds over time like Wolfman and Perez did with Terra or tell long form mysteries like Loeb and Sale. And when it come to your readers, remember that they owe you nothing. You can’t expect them to buy twenty comics in a month just to get one story that will probably not matter after the next reboot. Show them respect and give them their money’s worth with ever issue. Finally, remember that it’s called a creative team. People working together to make the best product possible… you know, collaboration. They should be common place in comics, not rare. Is Matthew Rosenberg Angling For Job As The Next Thor Variant Cover Artist?